I find this challenge unanswerable. I can’t recall having my mind changed by reading anything. Opened, expanded, developed – yes, too many times to count – but actually changed, no. Though there are some changes that might come close. For instance I’ve read books that persuaded me that a topic I thought uninteresting was in fact fascinating. I’ve read a history of a hat-making firm (whose name I’ve forgotten) and another one about engineering company Stothert & Pitt and been gripped by the details of their businesses. I also love specialist magazines on subjects I’m not normally concerned with – ones for hobbyists in model railways, chess, birdwatching – most subjects open up a window on other people’s interests and on the richness of life and culture. Other books have made me look at something in a different way. 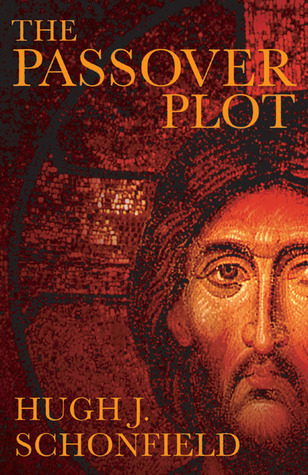 One of these is The Passover Plot by Hugh J Schonfield. This book looks at the life, death and resurrection of Christ from the point of view that he was a man who engineered the events described in the Bible, but was too badly injured to survive. There’s a lot more to the author’s thesis than this and I have to admit I’ve forgotten a good deal of it, but it was interesting to see how a story I knew very well could be reinterpreted in a completely different way from the traditional one. Learning completely new things from books is a given. In my reading I’ve delved into areas of history and science that I didn’t even know existed. But I still don’t feel that any of these has changed my mind. You are so right about books opening up your mind and not really changing it. But then, makes me wonder, when we opening up our mind and thoughts, wouldn’t it be a change, however slow the process is? Thank you for brining up this suggestion. I think you’re right about opening being a change, and I think it’s likely to be a more permanent kind of change. It also leaves the person concerned free to choose the direction of their new thoughts. I can’t think of a book that has actually changed my mind either – influenced, opened me up to new ideas yes, but I think change is a slower more reflective process…really enjoy following your 30 day challenge. Thank you for your comment, Bridget. I agree ‘change of mind’ is complex and can take time. Thank you also for liking the challenge. That’s a shame, because one of the reasons I began writing novels was to change people’s minds – or, at least, to make them aware of something they had not thought about. When in politics I found it almost impossible to get people to change their minds, or even listen to another point of view but I hoped that , by putting ideas into fiction I could have more influence. It seemed to work with TV programmes – showing up prejudice through comedy, but maybe, even then, it confirmed what people already thought. As to books that changed my mind, I have a feeling that I avoid books that might challenge my view of the world. I’ll come back to you on that. Thank you for commenting on the post. It’s interesting that you may be avoiding challenging books. I suspect a lot of us do that. I think a lot of the books I’ve read have encouraged me to think about things I’ve not thought about before – in fact that influences my choice of reading quite a bit as I like new things. But they still don’t actually change my mind.